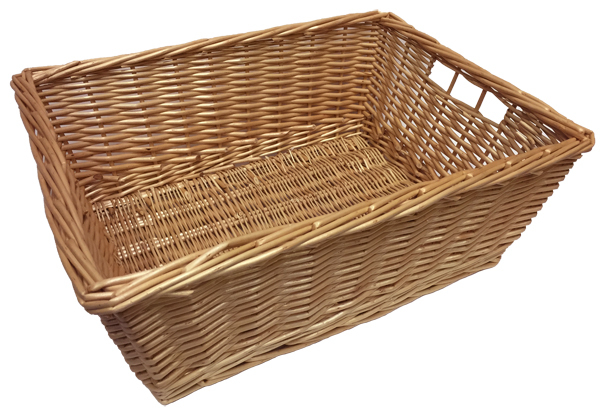 Sturdy, deep, quality, tapered wicker packing tray with fingerholes measuring approx 48x38x17cm high. 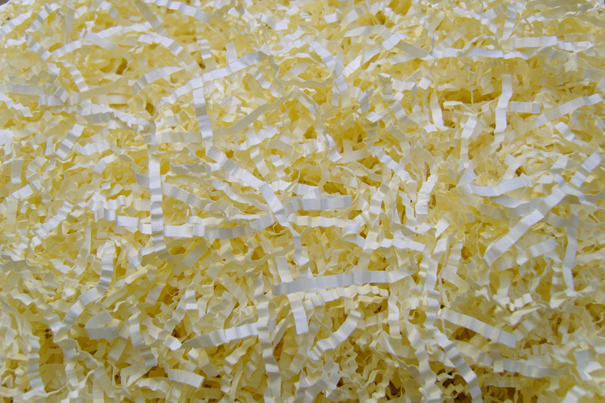 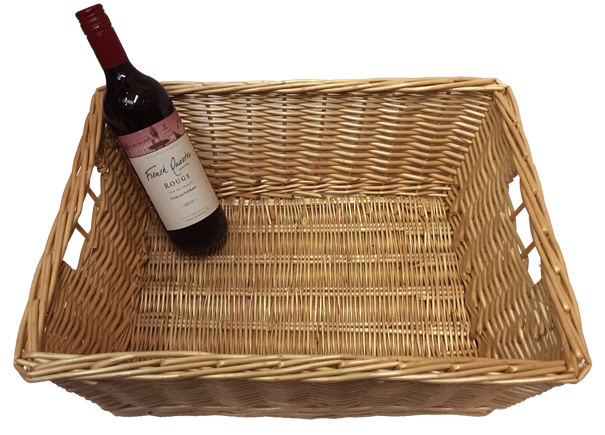 Beautifully made with an attractive warm light brown colouring. 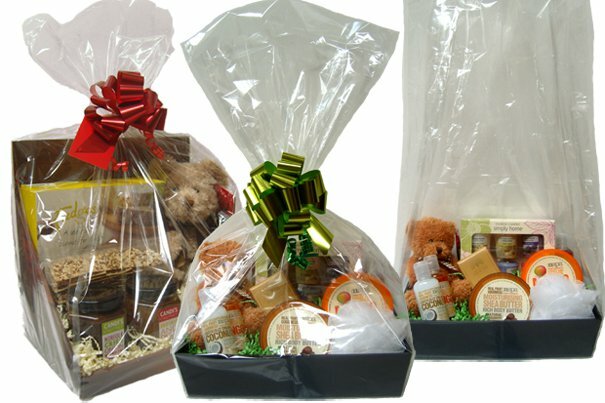 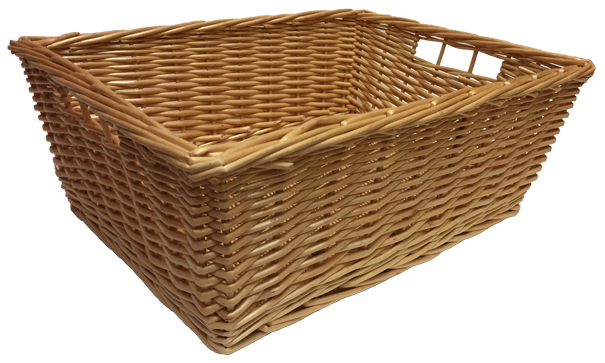 Ideal for big hamper baskets, shop display and storage.